The theme of this conference is “beyond conservatism,” and I’d like to start with a few things that are beyond both conservatism and liberalism, that is to say, some things people agree on whatever their politics. What I am thinking of is related to conservatism since it has the same root. It is the idea of conserving or conservation. There are some things that essentially all people — no matter what their politics — are conservative about. The planet, to begin with. There are probably some misanthropes who would like to blow it up, but most folks, across the political spectrum, want to conserve it. Most people also want to keep the planet liveable so we can conserve the people who live on it. Mark Twain used to say, “Sometimes I’d like to hang the whole human race, and finish the farce,” but most of the time, people don’t feel that harshly about our species. And we want to conserve animals. We’d be sorry to see giraffes or baboons die out. Take the case of the Cuban crocodile. He’s a relative of the American crocodile and said to be a noble beast. But the Cubans are interbreeding with the Americans and could be genetically swamped. As one scientist explains, “the two crocodile species interbreeding may pose a major threat to Cuban crocodiles. In a worst-case scenario, one crocodile lineage can cause the extinction of another.” Scientists are fretting about how to prevent this tragedy. The United States government worries about conserving species you’ve never heard of — the Kretschmarr Cave mold beetle, the spruce-fir moss spider. If you buy land, and one of these guys turns up on it, you might not be able to develop it. And most people want to conserve the different places where people live, and the different ways that people live in those places. We’re happy for Uruguay or China to remain distinctive countries. We all want different languages and cultures to flourish. In that respect we’re all conservative. We are sad when the last speaker of an obscure language dies out or when a distinctive way of life comes to an end. That’s why Brazil now has an official policy of leaving untouched tribes alone if that’s at all possible. People living in the stone age should have the choice of staying there if that’s what they want. However, there are things you are not allowed to want to conserve. Hardly anyone will oppose you if you say that the primitive tribes of New Guinea have the right to maintain their customs and their way of life, undisturbed by outsiders. But you better not say the same thing about the French or the Swedes. If you say that the French have the right to keep their country Catholic and European, you’re not a conservationist. You’re a hatemonger. You’re not beyond conservatism, you’re beyond the pale. According to current thinking, the French absolutely do not have the right to live undisturbed by outsiders. On the contrary, people from all over the world should be encouraged to move there. This is astonishing, really. I can’t think of a single thing that New Guineans have contributed to the world. And yet their way of life will endure. That of the Europeans, who have immensely enriched the world, may not. Not even conservatives argue that France is a distinctive biological and cultural entity that should be conserved. That’s not the way we are supposed to think about white countries. Korea? Yes. Ghana? Pakistan? Paraguay? Fine. Those places, like all other non-white nations, have the right to maintain their identities and ways of life. And what about conserving white people biologically? They are a small minority of the world population — 7 or 8 percent — and some of them are breeding with other groups, just like the Cuban crocodile. But anyone who says maybe we should think about the long-term prospects of white people — kind of like the way we do with the Kretschmarr Cave mold beetle — is no longer a conservationist. He’s a white supremacist. And so there is not one politician in America — even among the ones who claim to be deeply conservative — who says he wants to conserve the founding stock of this country, who wants to conserve a majority-white United States. The funny thing about all this is that it’s the Lefties who act as if they had the corner on conservation. They love government power, and they love to boss us around for our own good in the name of the conserving the environment. Why aren’t they all in a flutter about the prospects for white people exactly the way they are in a flutter about the ozone layer? I can see them browbeating us: “Now, you white people have to live over here, and you have to marry among yourselves.” “Remember: it’s for the children.” That’s just the busy-body sort of thing they love. Where’s Hillary when we need her? Until 1965, we had an immigration policy designed to keep the country European. There is nothing about the idea of United States as a nation of Europeans that is inherently a Left-Right type of political question at all. It should be beyond politics, just like conserving the white rhino or keeping Japan Japanese. The racial mix of the country is not logically implicated at all in the position you take on the size of the government, the welfare state, abortion, the role of women, homosexual marriage, income distribution, foreign policy, public prayer, how you interpret the Constitution, or any other political question. You can believe in cradle-to-grave welfare or rugged individualism, but be in complete agreement on wanting to keep the country majority-white. Jack London, for example, was very active as a socialist, but was adamantly opposed to a multi-racial America. So: Why would anyone want to conserve whites as a distinct people, and want them to remain a majority in the United States? First of all, these questions shouldn’t even have to be answered. If the Navajo were dwindling in numbers or losing their culture, no one would say they didn’t have the right to do something about it. No one would ever ask the Navajo: Why do you care about surviving as a people? Why do you need a homeland? Why not just fade away? If a white person asked those questions it would be the height of racism. Remember the Cuban crocodile: “In a worst-case scenario, one crocodile lineage can cause the extinction of another.” Well, strictly as biological artifacts, white people are at least as valuable as Cuban crocodile, if only for aesthetic reasons. And there’s a lot more than that. 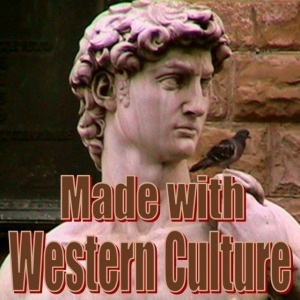 Europeans created the modern world. Shouldn’t they have the same rights as the tribes of New Guinea: To be left undisturbed? These are objective questions, but, of course, there is also my own subjective view of white survival as a white person. Survival is the first law, there is no more fundamental instinct than the desire to protect one’s own kind and to want it to flourish. That’s obvious when we are talking about any group but whites. The number of Hispanics is growing very quickly in this country, and Hispanics are ecstatic about this. It means their language, their culture, their physical type, their heritage, their aspirations are all gaining ground and could eventually dominate the United States. Hispanics want this very much, and they consistently try to change laws and policies to increase their numbers, and benefit their people. This is considered a sign of healthy collective pride. But if whites tried to delay their dispossession, if whites proposed steps to maintain their majority status, that would be hate and bigotry. Why? The processes are perfectly symmetrical. The percentage of Hispanics increases as the percentage of whites decreases. Why is it right for Hispanics to celebrate their gains but wrong for whites to regret their losses? Let us imagine the immigration shoe on the other foot: What if whites were pouring across the border illegally into Mexico, demanding amnesty, demanding school instruction in English, demanding ballot papers in English, setting up newspapers, TV and radio stations to English rather than Spanish, complaining that they weren’t equally represented in government and all national institutions? What if so many of them were coming they were likely to outnumber the Mexicans? The very people — white and Hispanic — who encourage the change in America’s population would rail against this as neo-colonialism and cultural imperialism. And yet when Hispanics come here with that intent and that effect — and when Muslims show up in Europe with the same intent and effect — any resistance is denounced as bigotry. Why? This question deserves an answer. I make no secret of my view on this. My ancestors have been white for tens of thousands of years. My children are white and I want my grandchildren to be white. I like the culture of Europe, I prefer the society that whites create. What’s wrong with that? Well, guess what? Even though they don’t admit it, almost all whites feel the same way I do. Look at what they do, not what they say. Where do they live? Who are their friends? Who do they invite over for dinner? If you ask a white person to name a single non-white neighbourhood he’d like to live in, or a single non-white school he’d want to send his children to, you get a blank. Whites know in their bones that a non-white America is not the country they want for themselves or for their children. That is why, when the part of America in which they live becomes an outpost of Africa or Mexico, they move away — to some place where whites are still the majority. And most white people still want their children to marry other whites. As the hippies used to say, white people just need to get in touch with their feelings. Whites used to be entirely honest about their feelings, and there is no doubt that people who call themselves conservative were honest for longer than lefties were. National Review doesn’t take that position now. It would banish anyone who did to the outer darkness of VDARE.com. And that’s just one of the countless positions that conservatism has simply abandoned. Now, 50 years later, conservatives quote King as if he were a moral authority. Whenever they want to argue against racial preferences for non-whites they quote King’s line about judging people on the content of their character. And yet, by the time King died he was open and explicit about wanting race preferences and quota hiring for blacks. So, why do conservatives quote the words of a plagiarist, adulterer, communist sympathizer, whom contemporary conservatives called a “rabble rouser”? It’s because they have completely swallowed the leftist view that whites have no racial legitimacy. Conservatives can’t just say plainly that affirmative action discriminates against whites. They have to borrow the moral authority of a black person to say that. And that’s why they quote the “content of their character” line, which King didn’t even believe. It’s hard to think of a more contemptible mental capitulation. Fifty years ago, National Review said that the desire to keep America white “requires no justification.” Well, whites never did come up with a justification. That’s a big part of the problem. They never articulated moral reasons to justify their own survival. For hundreds of years — thousands of years — whites, like everybody else, never had to. They just took survival for granted as a legitimate goal. But now, it means whites have no stock of tested ideas and arguments that they can draw on to justify survival. They have a deep foreboding about what is happening, but they don’t have words to express that foreboding. Without words, without convincing moral foundations, whites cannot act. And that is what makes whites different from everyone else and what makes them uniquely vulnerable. Non-white immigrants don’t have to justify their conquest of the United States. They don’t have to explain why they want their numbers to grow at our expense. They know instinctively that it’s good for them, and that is all they need to know. The same is true for Third-World immigrants to Europe. They don’t have to justify conquest. No, it is Europeans who would have to justify even the most basic steps necessary to assure their survival. It should be no more necessary to explain why whites have the right to a future than to explain why it is better to live than to die. But that is the dilemma we face. Slowly, slowly, both in America and in Europe, we are waking up to this dilemma. Originally published on the website of American Renaissance.